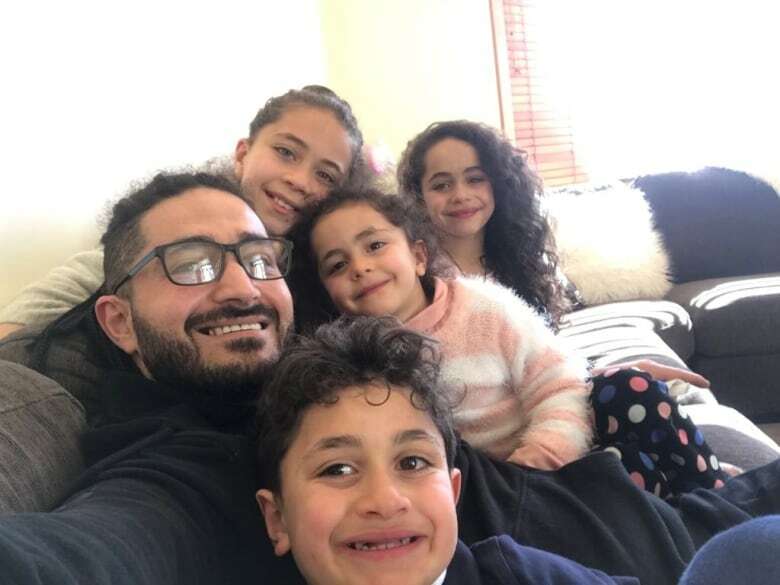 The last thing Christchurch mosque shooting survivor Wasseim Alsati remembers before he lost consciousness is his daughter's tiny belly covered in blood. "That was her first time in life to come with me to the mosque," Alsati told As It Happens host Carol Off. "I realized as soon as we come into the hospital that my daughter was dying. She was absolutely dying," Alsati said. "Then I said to the doctors, 'Leave me and go look after my daughter.'" When he awoke two and a half weeks later, he kept repeating: "I couldn't save my daughter. I couldn't save my daughter." But he was wrong. He did save her. 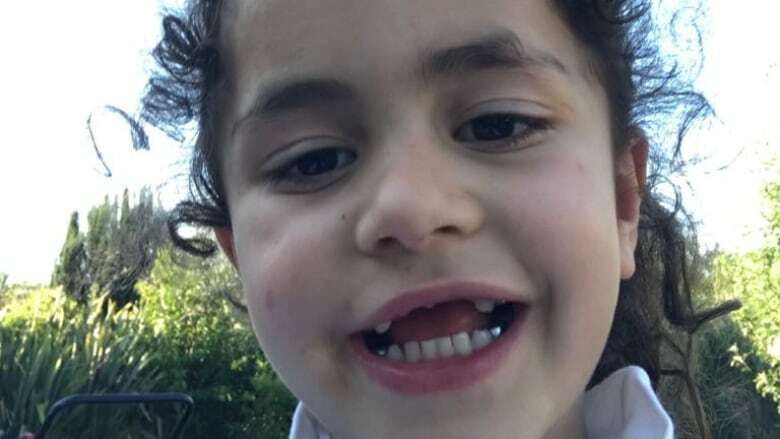 Alen was unconscious, but alive, at the children's Starship Hospital in Auckland. The shooter had aimed his automatic rifle at the little girl's head, but her father scooped her up and shielded her. She took a bullet to the stomach and another to her toes. "When [the nurse] took me there, I start crying, and I asked to hold his hand and hold my daughter's hand. And I thank him a lot, and I say to him, I say to my daughter's nurses, 'Look after my daughter, because I cannot,'" he said. Alen awoke from her coma during the first week of April. 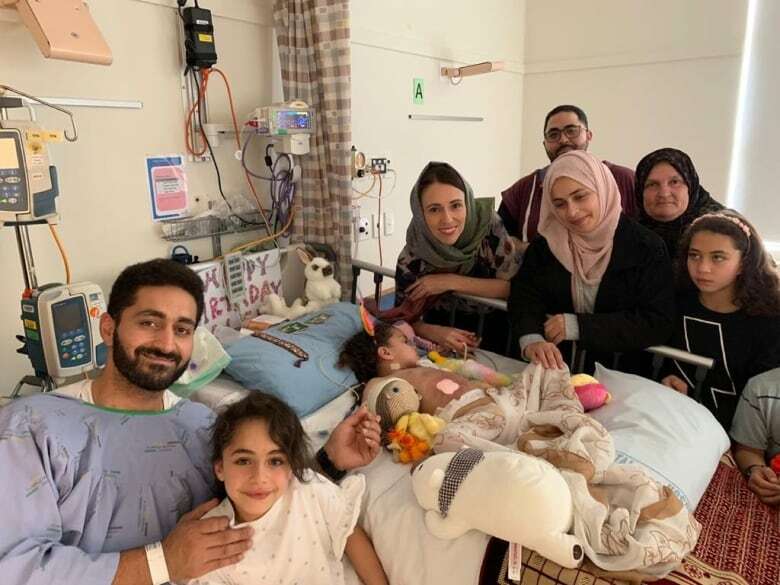 She turned five while she was still unconscious — a birthday her father thought she'd never live to see. She can't see anything and is just barely responsive, he said. On Monday, she spoke, answering simple questions with "yes" or "no." "It's amazing news to me, but I don't want to rush things," Alsati said. "I do believe she will get better." Alsati, meanwhile, took a bullet to the hip and is unable to walk. He still has bullet fragments in his body. Doctors tell him it will be at least another 18 months before he's back on his feet. They have received letters and gifts of support from all over the country. 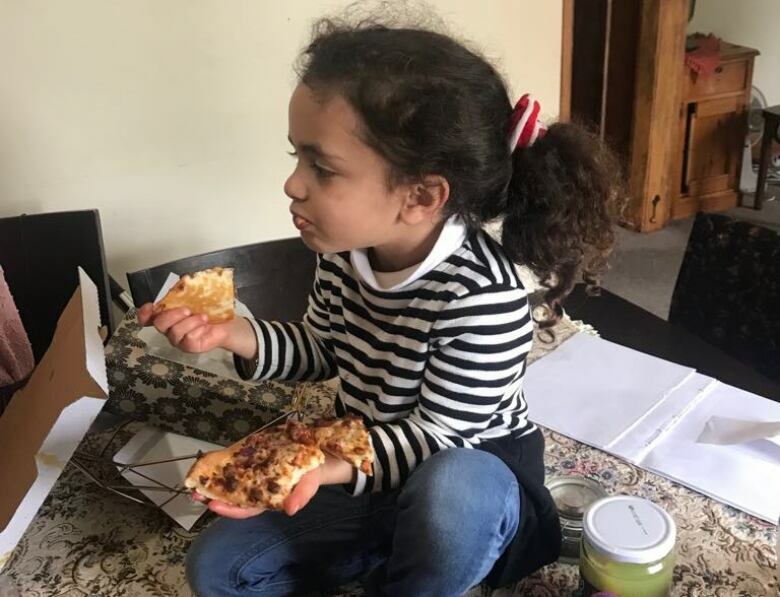 As of Monday evening, more than $49,000 had been donated to the family's Givealittle.co.nz crowdfunding page, titled "Extra funds for Wasseim and little Alen." "The shooter, he didn't succeed. He will never succeed. Even if there's a hundred shooters like him, they will never succeed," Alsati said. "He united us. He showed us the love in this country, the actual people here. So we love it, and we want to stay here. We're not going anywhere because we call New Zealand home. Christchurch is home."